Pebble Mill at One was a British television magazine programme that was broadcast live weekdays at 1pm on BBC1, from 2 October 1972 to 23 May 1986 and again from 20 October 1991 to 25 May 1996. It was transmitted from the Pebble Mill studios of BBC Birmingham, and uniquely, was hosted from the centre's main foyer area, rather than a conventional television studio. Presenters during the long run included Jan Leeming, Donny MacLeod, Fern Britton, Marian Foster, Debi Jones, Bob Langley, Tom Coyne, David Seymour, Magnus Magnusson, Alan Titchmarsh, Chris Baines, Josephine Buchan, Judi Spiers, and Paul Coia. Editors for the show included Terry Dobson, Jim Dumighan, and Peter Hercombe. Until 1986 there were few television programmes transmitted on BBC Television during daytime hours. For this reason, Pebble Mill acquired a unique following from those who found themselves at home at lunchtime. Housewives, students, and those recovering from an illness remember it with fondness for its variety and the problems inherent with live television. The show was broadcast from the foyer of Pebble Mill because a planned third studio was never constructed on the site, and existing facilities were fully booked for network drama production and local news. In the beginning, visitors to the studios were seen arriving in the background as the programme was transmitted. Gradually, as the show became more successful, the foyer became a studio, and visitors had to use a new entrance. 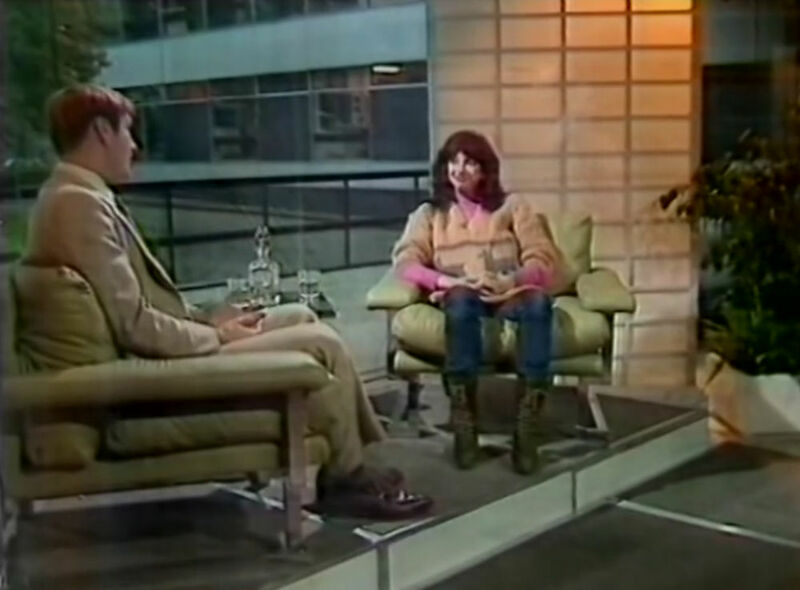 On 29 October 1982, Kate Bush was interviewed in the programme by Paul Gambaccini. The interview focused mainly on Kate's then-current album The Dreaming. Only a handful of the programmes are known to survive in the archives. Pebble Mill at One. Wikipedia, retrieved 19 October 2017. Kate Bush interview by Paul Gambaccini. YouTube, retrieved 19 October 2017.